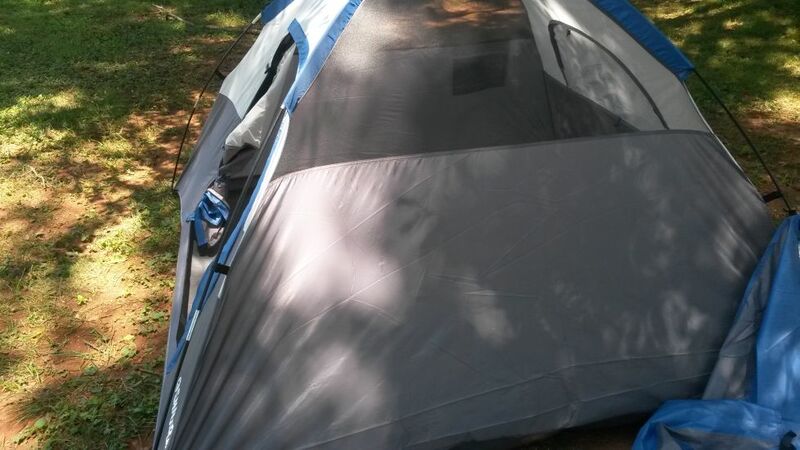 I bought a dome tent 7’ × 7’ from a Gander Mountain store. The tent went up rather quickly. The instructions are written clearly. 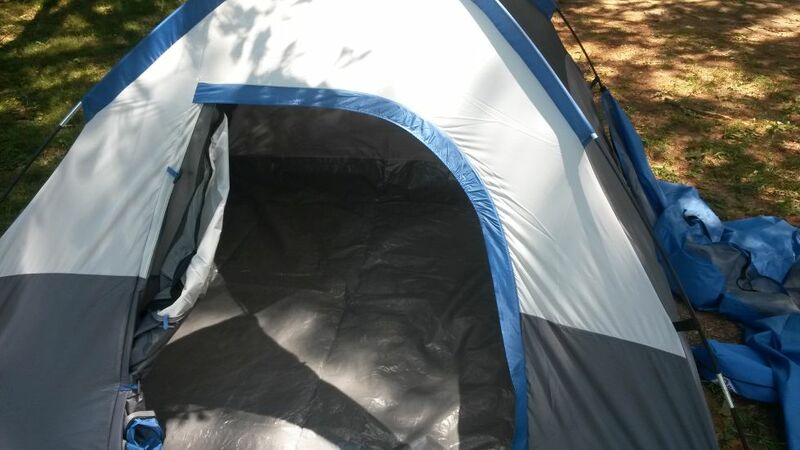 The screened windows on the sides have no cover until the rain fly is put on the tent. 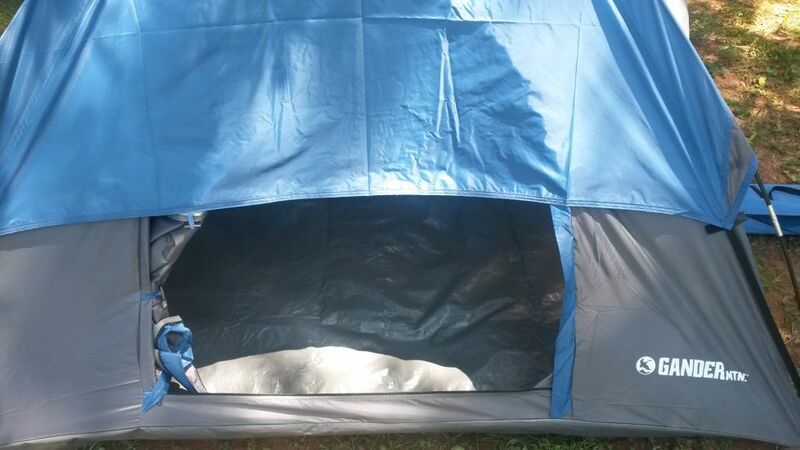 The inside of the tent is going to get wet if you put it up in the rain. Soaking wet is not good. Update: The rain fly has Velcro tabs on all four corners. They go below the clips that hold onto the tent poles. Why ? If they are placed above the clips, a slight breeze will move the edge of the rain fly just enough for rain to come in. There are two gray panels on opposite sides of the rain fly. Putting them the front and rear of the tent, the fly goes low over the side windows. Keeping the rain out. The side windows don’t have a method of zipping them up. 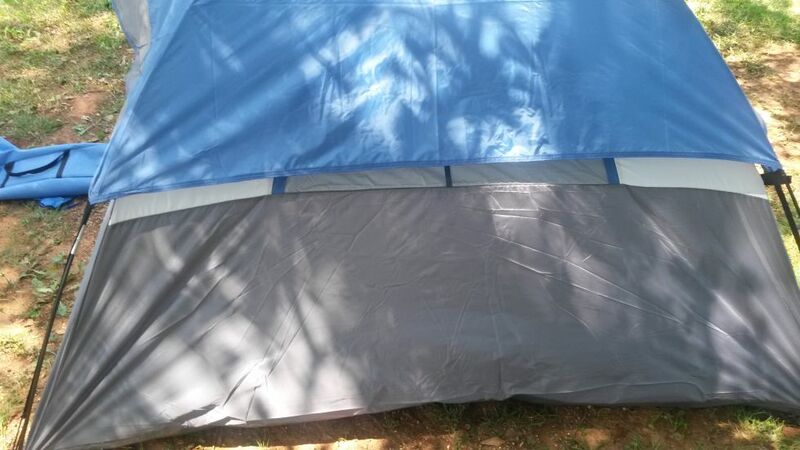 If the two gray panels are setup on the tent sides, a nice breeze comes through the tent. Not a good idea for rain and cold though. I would have liked the rain fly to be larger to provide a better area at the entrance. That way I could put my pack out there and reduce the chance of my things gettnig wet. But the tent is rather heavy as it is. front with door open and rain fly in place. open door without the rain fly. Note the door has a zipper down the side and a separate zipper along the bottom. Update: March, 2017: It is not a 7’ × 7’ tent. It may have been that size before sewing, but it is not 7’ in any dimension once set up.